“I am everything to Umang, and I’m also nothing – on my own. That’s how Umang is, for every single woman connected. 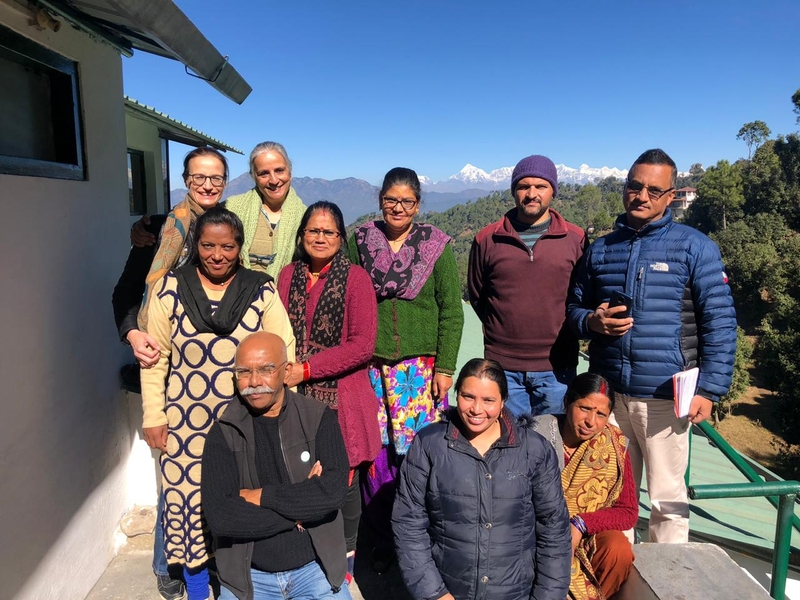 We come together and collectively impact our lives,” says Sunita Kasyap, secretary and founder at Women on Wings’ partner Umang that provides income to hill women from the lower foothills in the Himalayas. When she started working for Umang, Sunita had promised herself to conduct her household duties with the same diligence as before. She bought thirty glasses for her mother-in-law, so that she wouldn’t have to wash the dishes while Anita was at work. These are the ideals of positive family building that Umang supports. Whenever its female members experience family problems, it tries to counsel them and their families, and help them achieve a better balance in their work and life. Since 2016, Women on Wings and Umang are collaborating in their joint effort to increase the income of the women already involved and create additional jobs.